My journey to practice yoga started 20 years back and gradually my practice grew into my passion. I completed my 200 hrs YTT certification 2017 and then acquired my 300 hrs YTT in 2018 from west-east Yoga school here in Saint Louis. I am a mathematics/computer science major, married mother of two teenagers. 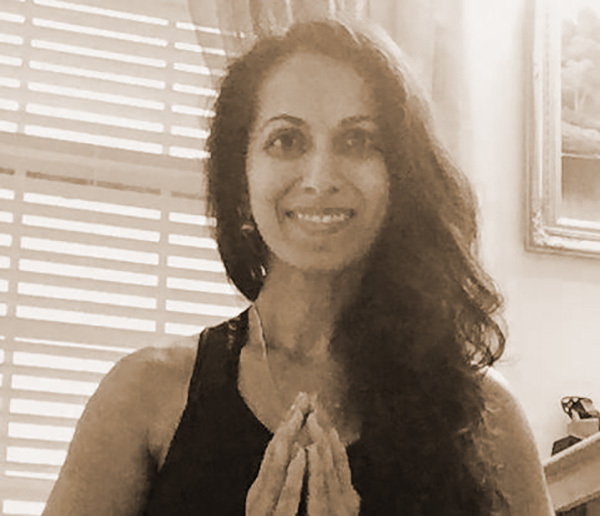 My yogic journey started 20 years back, by joining a class of traditional hatha practice just for fun and which eventually turned into a mindful practice. I believe Yoga practice is for everybody. My goal is to teach a class that can be modified to meet the needs of every student. When practiced in a group I love to bring attention to the alignment of the posture, breath work and concentration points of various Yoga positions. My belief is to have mindful practice, and to incorporate restorative relaxation and breathing postures to promote total mind-body wellness. I have been following my passion by teaching Hatha-Vinyasa flow for the last year in our home town: Saint Louis.